Year 2018 is a great year with lots of improvements to technology and the launch of advanced devices that will continue to make lives easier. But all the things that are launched or created this year are envisioned or pioneered by some great minds who have what it takes to help our modern world. This year, we’ve lost a number of celebrities and geeks whose works and innovations can never be forgotten for years and ages to come. Today, we have a list of great people who we lost this year. We hope their gentle souls continue to rest in perfect peace. 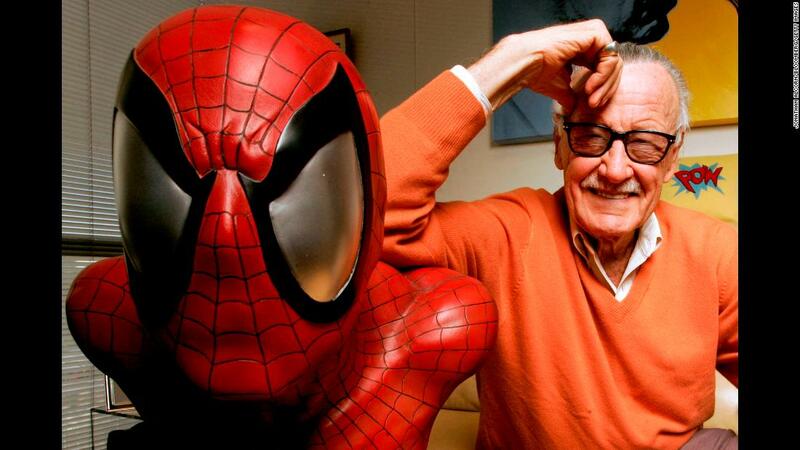 The godfather of Marvel superhero comics was best known for bringing characters — including Spider-Man, Thor, X-Men and the Avengers — to life in comics, movies and TV shows. Lee died at 95 in November. On his own and with artist-writers Steve Ditko and Jack Kirby, Lee made Marvel the top publisher of comic books, and a media powerhouse. Lee collaborated with Kirby on the Fantastic Four, Hulk, Iron Man, Thor, Silver Surfer and X-Men, and with Ditko he created Spider-Man and Doctor Strange. Lee wasn’t just a co-creator of beloved superheroes, but an enthusiastic fan of comic book fans who often took to social media to thank them for their support. Famed British physicist Stephen Hawking died in March at age 76 after transforming how we look at the universe, black holes and time itself. While considered the most famous scientist of his time, he was also a prolific author who had a deep desire to explain the origin and expansion of the universe to readers without scientific backgrounds. His 1988 book A Brief History of Time sold more than 10 million copies and was translated into 35 languages. It also spawned similar best-selling books by Hawking, including The Universe in a Nutshell and A Briefer History of Time. Hawking’s most famous equation describing the entropy of a black hole is inscribed on his memorial stone. The 41st US president and patriarch of a modern-day political dynasty died in November at 94. A graduate of Yale, George H.W. Bush embarked on a political career that included two terms in Congress, working as a UN ambassador, heading the Republican Party, directing the CIA and serving as 43rd vice president under President Ronald Reagan from 1981 to 1989. Bush was president from 1989 to 1993. After leaving office in 1993, Bush was active in humanitarian activities, often alongside former US President Bill Clinton. 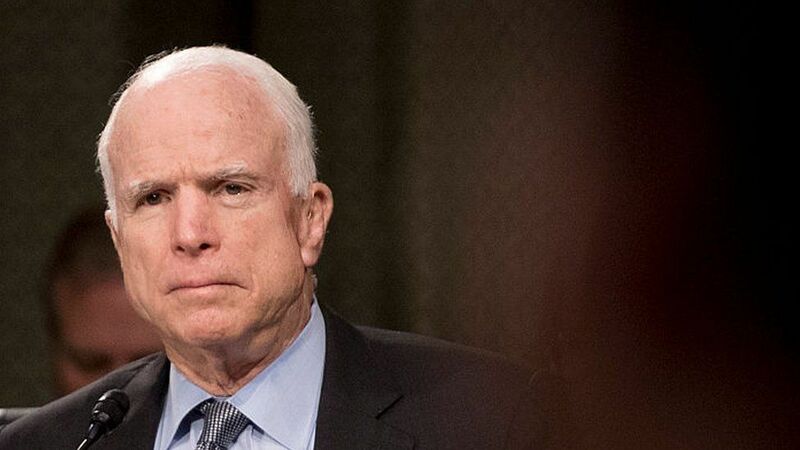 War hero, six-term Republican senator and one-time GOP presidential nominee John McCain passed away in August at 81. McCain spent more than five years as a North Vietnamese prisoner of war after his Navy plane was shot down in 1967. Wounds sustained during the war left him with enduring physical disabilities. As a politician, he made campaign finance reform one of his major causes. He served as an Arizona senator from January 1987 until his death. Celebrity chef, author and TV personality Anthony Bourdain took his own life at a hotel in France in June, at age 61. Bourdain first found fame with his 2000 book Kitchen Confidential: Adventures in the Culinary Underbelly. He went on to write numerous memoirs, cookbooks and travel books. But the writer shot to fame with culinary-driven, globe-trotting TV shows such as A Cook’s Tour, Anthony Bourdain: No Reservations, The Layover and Parts Unknown. These gained Bourdain a following that included former President Barack Obama. In a special 2016 episode of Parts Unknown, Obama dined with Bourdain at a Hanoi restaurant. The Smithsonian Institution once called Bourdain the “Elvis of bad boy chefs” and the “original rock star” of the culinary world. 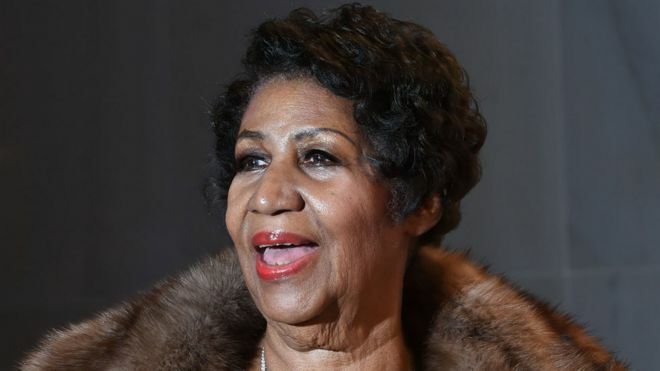 “Queen of Soul” Aretha Franklin died in August at 76 after a music career that spanned more than six decades. Her music career skyrocketed in 1967 with the hit song Respect, and she went on to win 18 Grammys and was the first woman to be inducted into the Rock and Roll Hall of Fame. Actor Burt Reynolds — best known for his signature mustache and unmistakable laugh — died in September at 82. His roles in Smokey and the Bandit, Deliverance and The Cannonball Run made him a household name. He was Hollywood’s top-grossing star each year from 1978 through 1982, and gained a reputation as a beefcake after posing naked for Cosmopolitan magazine in 1972. While his acting in the ’70s and ’80s made him a star, he found a second wave of fame with his role in 1997’s Boogie Nights, which earned him a best supporting actor Oscar nomination. Pulitzer Prize-winning playwright Neil Simon became a household name for his plays The Odd Couple and Barefoot in the Park, and earned four Oscar nominations and won Tony awards for The Odd Couple, Lost in Yonkers and Biloxi Blues. He died in August at 91. 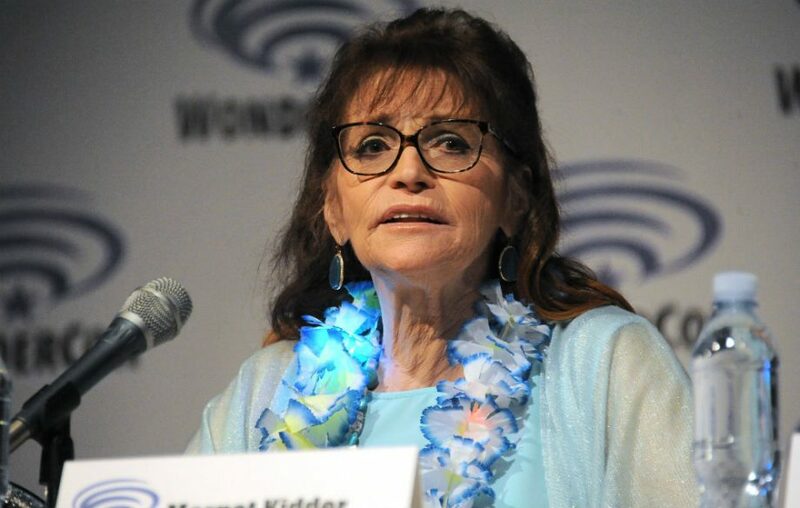 Margot Kidder, the Lois Lane to Christopher Reeve’s Superman, died in May at 69. In addition to her Lois Lane role, Kidder played twins in Brian De Palma’s 1973 cult thriller Sisters, a sorority student in the 1974 slasher film Black Christmas and Kathy Lutz in the 1979 blockbuster horror film The Amityville Horror. In 2015, she won an Emmy for her performance on the children’s TV series R.L. Stine’s The Haunting Hour. SpongeBob SquarePants creator Stephen Hillenburg, a former marine biology teacher, turned his love for all things aquatic into beloved kids’ cartoon SpongeBob SquarePants, which debuted in 1999 and is the highest-rated Nickelodeon show of all time. Its title character is a happy-go-lucky sea sponge who famously lives in a pineapple under the sea. Hillenburg died in November at 57. While many knew Scott Wilson as a cast member of The Walking Dead, his first film role was in 1967’s In the Heat of The Night. He also acted in In Cold Blood, Pearl Harbor, The Great Gatsby, Judge Dredd, Monster and dozens of other films. He died in June at 76. Author and journalist Tom Wolfe was known for his best-selling books The Electric Kool-Aid Acid Test (about counterculture figure Ken Kesey), The Right Stuff (about the Mercury Seven astronauts) and his novel The Bonfire of the Vanities. As a journalist, Wolfe was influential in the New Journalism movement in which reporters immersed themselves in the stories as they reported. Wolfe died in May at 88. Fashion designer and businesswoman Kate Spade, who killed herself in June at 55, made her name as the go-to designer of stylish handbags and accessories. Artist Steve Ditko, who helped bring Doctor Strange, Spider-Man and the Unbeatable Squirrel Girl to life, passed away in June at 90. While Stan Lee created many of the superheroes we love today, Ditko fleshed out the look of many of those Marvel characters. It wasn’t just male comic book creators who passed away this year. 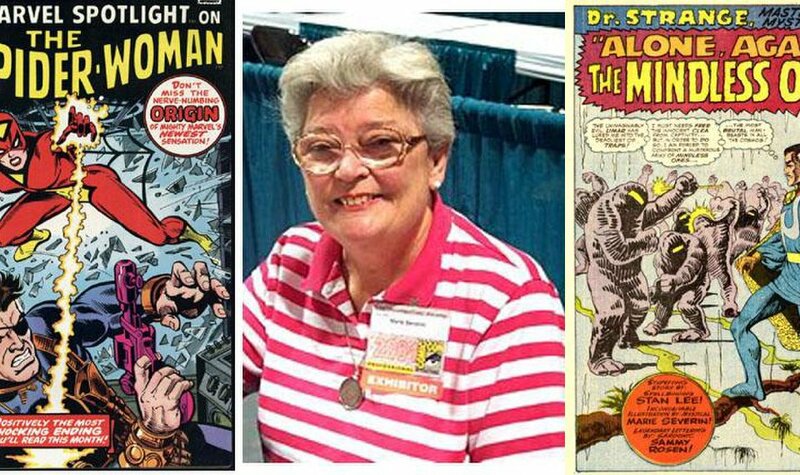 Marie Severin, a prolific artist and colorist for Marvel and DC Comics who co-created Spider-Woman and worked on the Hulk, died in August at 89. During the Golden and Silver Age of comics, Severin worked on beloved characters such as the Hulk, Daredevil, Iron Man, Doctor Strange and The Sub-Mariner. Most notably, in 1976, Severin co-created the superhero Spider-Woman, designing her original costume with Stan Lee. The Princess Bride screenwriter William Goldman, who passed away in November at 87, is best known for his work on the movies Butch Cassidy and the Sundance Kid and All the President’s Men. Murder of XXXTentacion. On June 18, 2018, American rapper XXXTentacion, real name Jahseh Dwayne Ricardo Onfroy, was shot and killed in an apparent robbery, just outside RIVA Motorsports, an upscale seller of motorcycles and boats in Deerfield Beach, Florida. He’s known for his notable works and powerful music. Death. Miller died of a drug overdose in his Studio City home on September 7, 2018. He was found unresponsive around noon that day, after a friend called for an “immediate dispatch” for a man in cardiac arrest, according to a 911 call. Bergling retired from touring in 2016 due to health problems, having suffered stress and poor mental health for several years. On 20 April 2018, Avicii was found dead in Muscat, Oman. He was buried on 8 June in Stockholm, Sweden. Although the cause of death is never known but according to family tribute, it’s suggested that Avicii committed a suicide after being said to have been through a long series of depressive states.